Ayurvedic ‘ Kaalmegha, Bhuunimba, Bhuuminimbaka, Vishwambharaa, Yavtikta, Kalpanaatha, Kiraata-tikta (var.). Action Hepatoprotective, cholinergic, antispasmodic, stomachic, anthelmintic, alterative, blood purifier, febrifuge. It acts well on the liver, promoting secretion of bile. Used in jaundice and torpid liver, flatulence and diarrhoea of children, colic, strangulation of intestines and splenomegaly; also for cold and upper respiratory tract infections. 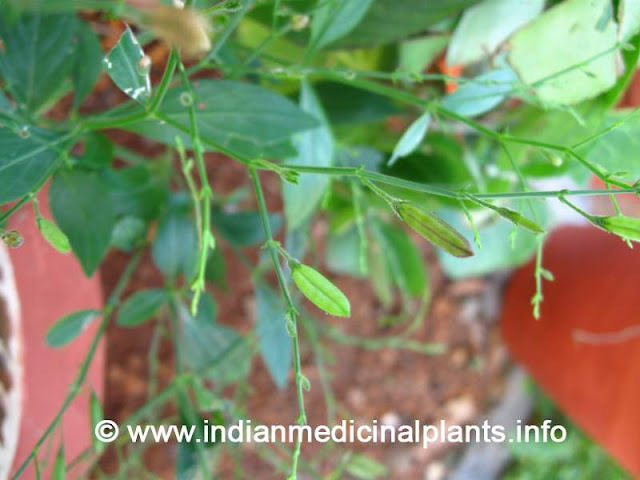 Kaalmegha, officinal in IP, consists of dried leaves and tender shoots, which yield not less than 1% andrographolide on dry-weight basis. Several active constituents have been identified from the leaf and rhizome, including andrographolide, deoxyandrographolide and other diterpenes. Andrographolide exhibited strong choleretic action when administered i.p. to rats. It induces increase in bile flow together with change in physical properties of bile secretion. It was found to be more potent than silymann. 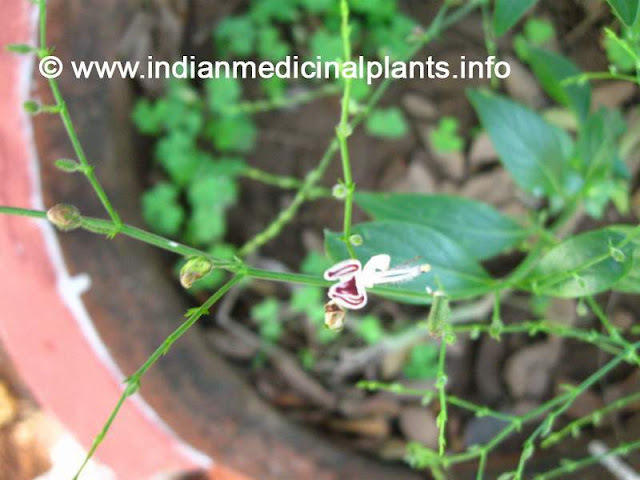 The leaf and stem extracts of Kaalmegha/andrographolide given s.c. or orally did not change blood sugar level of normal or diabetic rats. Alcoholic extract of the plant exhibited antidiarrhoeal activity against E. coli enterotoxins in animal models. The herb is contraindicated in bleeding disorders, hypotension, as well as male and female sterility (exhibited infertility in laboratory animals). Dosage Whole plant—5—l0 ml juice; 50—100 ml decotion; 1—3 g powder.